← EU Copyright Reform: quo vadis? Can the EU undertake effective cultural diplomacy? 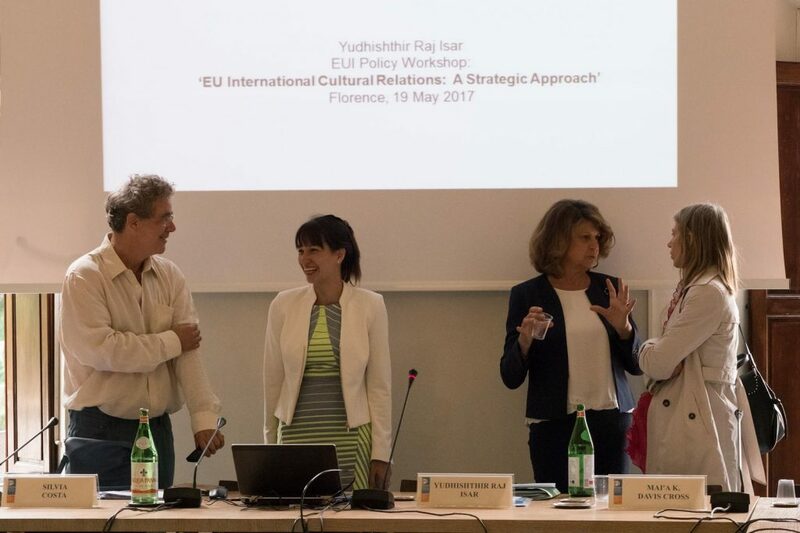 CREATe Deputy Director Philip Schlesinger opened the first session at the High Level Policy Workshop on ‘EU international cultural relations: a strategic approach’, held in Florence at the European University Institute’s Global Governance Programme on 18-19 May. He argued that there were two complicating contradictions that affected the EU’s desire to project itself as a global actor. First, supranationalism is in constant tension with the Member States’ competence in managing national cultures and identities. And second, there was an expediently fluctuating relationship between culture and the economy: culture was seen both as an instrument of economic development and a source of defensive and offensive intrinsic values at a time of perceived global crisis, and often tended to be treated as a singular object rather than a plural set of practices. The EU, he further suggested, tended to overlook its continual attempts to undertake internal cultural diplomacy, as in its pursuit of audiovisual policy, which was oriented both to the market and at times pursued the idea of a transcendent cultural community. Of course, the EU did not name its internal cultural diplomacy as such but it should recognise that is what it is engaged in. It was plain, in sum, that the lack of internal cohesion and clarity about what culture meant was an obstacle to representing itself as a coherent global actor. The workshop was attended by EU and national politicians, civil servants from the European Commission and other EU bodies, UNESCO, members of national cultural agencies, cultural consultants and academics. The deliberations will feed into the European Commission’s and European Parliament’s future thinking.